Are you gearing up for the annual dash to find the best gifts for your loved ones? Break away from the shopping malls and get into the festive spirit with a visit to these cheerful Christmas markets around South Africa. Are you on the lookout for some gourmet food, live music or a variety of unique arts and crafts? There’s no arguing that a visit to a Christmas market will leave you in good spirits and with everything you desire this festive season. To set the mood this holiday, the Shongweni Farmers Market will be hosting a special 4-day Christmas Extravaganza. Soak up the atmosphere of the festive season and find your loved ones the ideal Christmas gift as you browse through the market’s unique crafts, jewellery, shoes, clothes and toys. Activities to enjoy for the whole family. Venue: Lot 457, Mr551, Hillcrest, Durban. The Piggly Wiggly, located in the heart of the Kwa-Zulu Natal Midlands, will be hosting their annual Christmas market fun day. A variety of local shops, a lovely coffee shop and a pizza place. Venue: Lions River, Midlands, Howick, KwaZulu-Natal. The KZN Christmas Market Festival is considered one of the biggest Christmas markets for the city of Durban. The indoor market boasts some of the best in handcrafted, high-quality gifts, décor, toys and tantalising local food. The market layout is more retail orientated with shopping baskets and credit card facilities available for each stall. Visitors who flock to this Christmas wonderland can also expect: - A host of activities to keep the kids occupied. A relaxed atmosphere with evening entertainment provided. Fun filled festivities for families of all ages to enjoy. Affordable high-quality hand crafted products on sale. An assortment of fresh food and refreshments available. The Essenwood Craft Market is the perfect festive escape for the entire family. The market is set in a tranquil park setting and offers a fantastic range of homemade crafts. These range from hand woven baskets, homemade cakes, assorted clothing, stunning pieces of jewellery and other interesting stalls to cater for all walks of life. While it is primarily a craft market, the market also boasts loads of entertainment for the kids as well as a wide variety of comfort food to put you in a cheery mood. Date: Every Saturday between 9:00 am - 14:00 pm. Venue: Stephen Dlamini Road, Berea, Durban. Bryanston Organic Moonlight Market is one of Johannesburg’s oldest outdoor markets, offering over 140 stalls and known for promoting seasonal and celebratory occasions, like Christmas. Head to the market to enjoy its twinkling fairy lights, live musical performances, as well as delicious foods, crafts, gifts, jewellery and clothing made from natural materials. As an additional festive treat, the market will also be hosting a special Christmas puppet show, free of charge, on Friday 16 December 2016 at 11:00 am. Date: Every Tuesday from 5pm running from now to 20th December 2016. Venue: Culross Road, Bryanston, Sandton, Johannesburg. 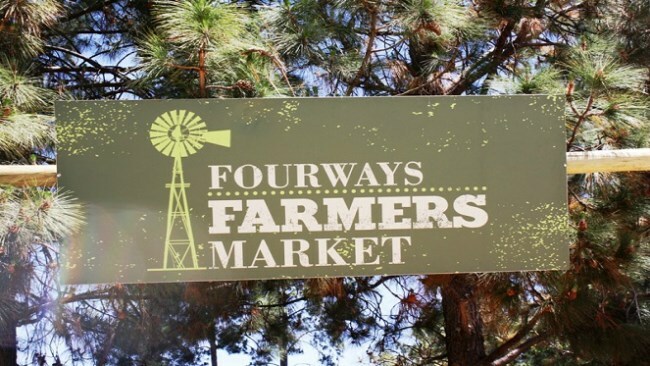 The Fourways Farmers Market will be hosting a very special Christmas Market weekend, packed with an abundance of festive cheer for the whole family. The Christmas night market will take place on Saturday 17 December from 13:00 pm to 21:00 pm and the Christmas day market will take place on Sunday 18 December between 9:00 am to 16:00 pm. Tickets will be available at the gate: R10.00 per adult | Children under 12 years are free | Pets allowed. Carols by candle light (night market). An appearance by Father Christmas (night market). Christmas inspired live music entertainment. Artisanal crafts and Christmas gifting. Designer Christmas cakes and sweet treats. An assortment of craft beer, wine and champagne. Date: 17 and 18 December 2016. Venue: Cnr William Nicol Drive and Monte Casino Boulevard, Fourways. The Cow House Market is the ultimate gourmet food and craft market in Pretoria which makes for the perfect family day out this festive season. Escape the hustle and bustle in your local shopping mall and enjoy a peaceful day of Christmas shopping at the Cow House Market. Here, you will be sure to find a host of traditional arts and crafts, scrumptious gourmet foods and plenty of festive activities for all to enjoy. The market also boasts free parking, local entertainment and a large children’s play area which includes a jumping castle, climbing frames and a water slide to keep everyone entertained. Venue: Ridge Street and Silver Lakes Road, Pretoria. 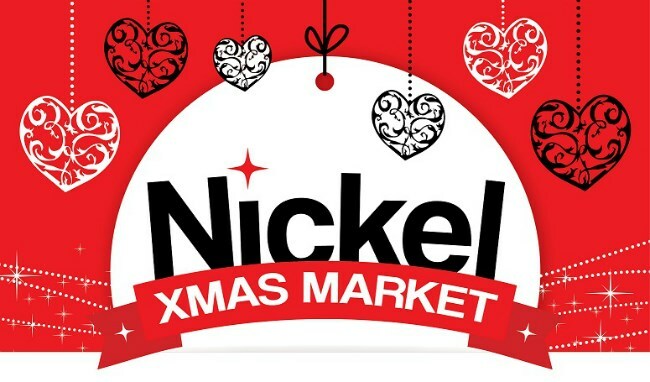 The Nickel Xmas Market is an annual fund raising event which started exactly 16 years ago, to provide crafters the opportunity to sell their handiwork. It is one of the biggest Christmas markets, boasting around 300 exhibitors of handmade products all under one roof. The market also has a tea garden which is ideal for catching your breath after shopping up a storm. The Nickel Xmas Market is a great way for you and the family to give back to the community, as the money collected for every gift purchased is in aid of the disabled community as well as promoting job creation. Date: Running now until 18 December 2016. Venue: Plot 214, Zwavelpoort, Lynnwood Road, extension Graham Road, Pretoria East. The Edgemead Christmas Market is one of Cape Town's favourite indoor Christmas markets and is considered a one-stop shop for all your festive gifts in December. This local attraction holds over 250 crafters who travel from all parts of the city to showcase their rich talent at the market. The Edgemead Christmas market is open daily, including Sundays, from 10:00 am to 8:00 pm, which is ideal if you need to get some last-minute gift-shopping done. The market is a treat for all, offering inspired handmade crafts, wholesome food and a festive atmosphere to get you in the mood for the holidays. Date: Running now until 22 December 2016. Venue: Edgemead Community Hall, Edgemead Drive, Cape Town. Fab Ideas market is a Christmas fair dedicated to showcasing locally produced handmade gifts. The four-day event offers a jam-packed schedule of kiddies entertainment, alongside a beer garden, a variety of food stands, live music and a relaxed atmosphere to keep you entertained. 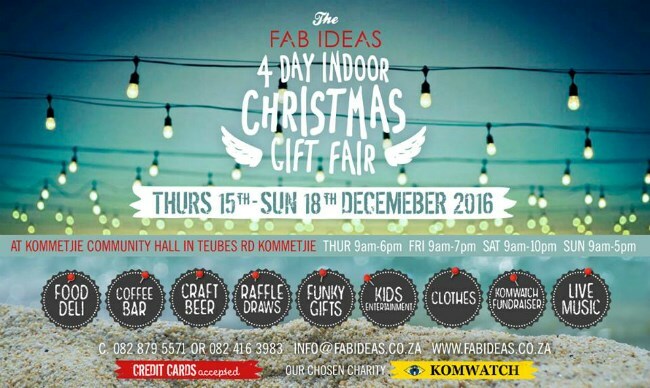 Fab Ideas market is a great way to get your Christmas shopping done while still enjoying a fulfilled family day out on the town. Date: 15 December to 18 December 2016. The Pinelands Craft and Gift Fair is a spectacular Christmas and end of year gift shopping market which boasts a wide selection of gifts exhibited by more than 140 crafters. The fair will be open from Monday to Friday between 9:00 am to 7:00 pm, as well as Saturdays and Sundays between 9:00 am to 5:00 pm, before ending on 22 December at 19:00 pm. Here you will find an array of exquisite handcrafted cards, Christmas decorations, delicious tasty treats, baskets and woodwork, jewellery, pot plants and an abundance of toys for the kids. Venue: Pinelands High School, Forest Drive, Pinelands. Durban boasts incredible summer weather, is a melting pot of cultures and has an array of attractions. The natural beauty of the Hemel-en-Aarde Valley and Hermanus has traditionally attracted holiday house investors but, its lifestyle estates are now also attracting young professionals.